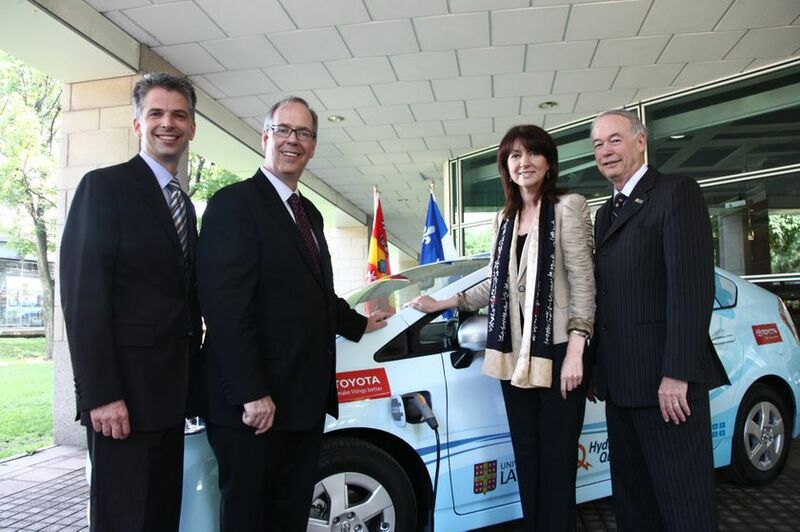 (QUEBEC, QC) - July 14, 2010 - A new era in sustainable mobility began real-world tests in Quebec today, as Toyota Canada delivered a Toyota Prius Plug-In Hybrid (Prius PHV) to its Quebec provincial partners at a ceremony. To mark the occasion, provincial partnership representatives were on hand to officially ‘plug-in’ to the future and deliver the Prius PHV to Québec. 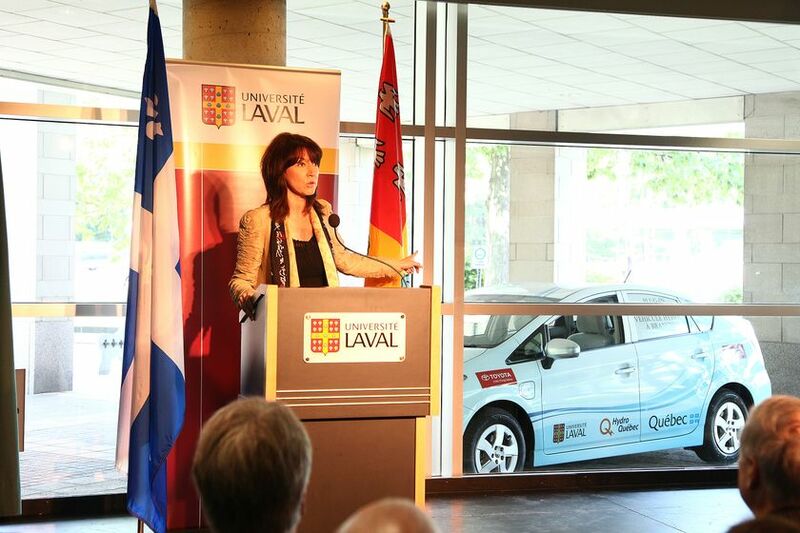 Quebec Deputy Premier and Minister of Natural Resources and Wildlife Nathalie Normandeau, Rector and Vice-Rector of Université Laval, Denis Brière and Eric Bauce, Hydro Quebec’s Senior Director of Strategic Planning and Government Affairs Pierre-Luc Desgagné, and Toyota Canada’s Managing Director Stephen Beatty, were all present for the delivery at Université Laval’s campus today. Toyota’s Quebec partners will share the data collected by their Prius PHV, which will be fitted with telematics equipment to record vehicle and hybrid system performance. 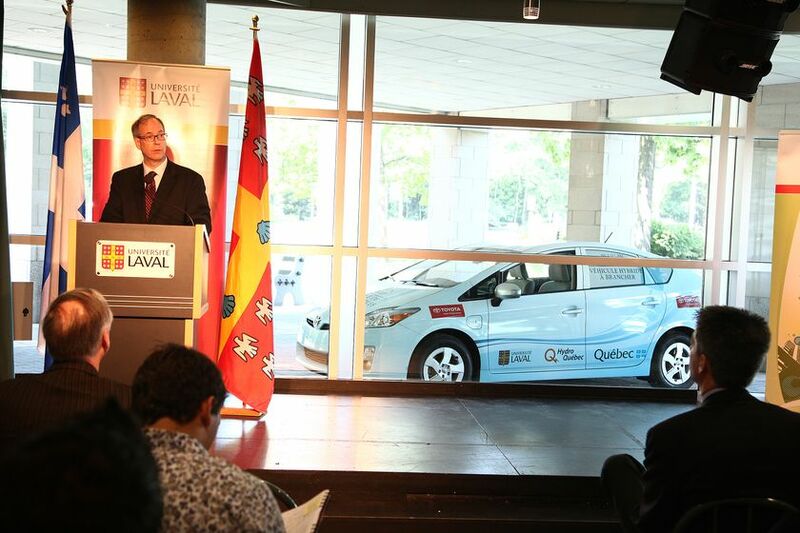 “Today, I am proud to help welcome the first Toyota Prius Plug-in hybrid to Quebec. We intend to become an international leader in the field of electric vehicles by creating a climate that will help them flourish throughout the province. 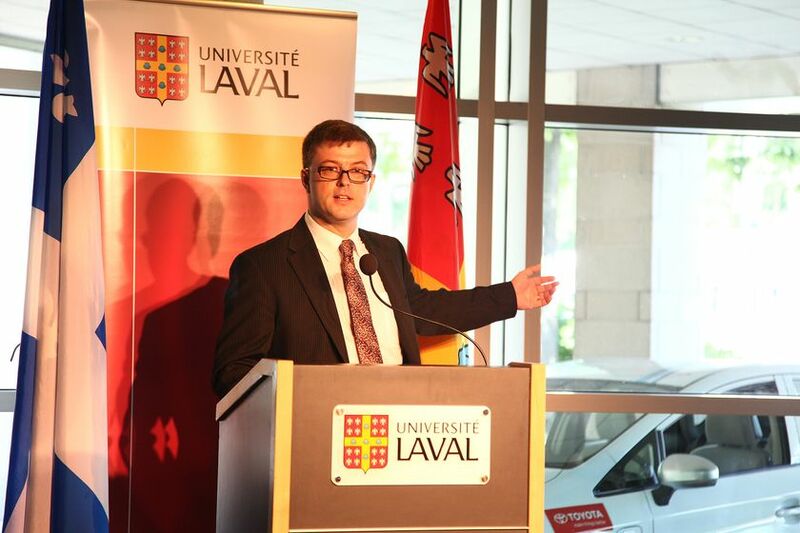 I am pleased that Toyota Canada chose Université Laval to spearhead its research project, which will benefit all of Quebec. This is a wonderful opportunity to acquire knowledge and expertise that will strengthen our ties with the industry and enhance Quebec’s reputation as a leader in sustainable development,” said Minister Normandeau. Based on the world’s most popular hybrid vehicle, the Toyota Prius PHV is designed to deliver a range of more than 20 km and top speed of almost 100 KPH on battery alone. In addition, an onboard Atkinson-cycle gasoline engine enables the vehicle to revert to hybrid mode and operate like a regular Prius - giving the vehicle the driving range and performance Canadians demand from today’s automobiles. Canada has been selected as one of the participating countries for Toyota’s global test of the Prius PHV. Five Prius PHV vehicles hit the roads this summer with 15 trial partners in 4 provinces in the first phase of a nationwide trial, including Quebec. This enables Toyota Canada to conduct technical and market acceptance tests unique to Canada’s driving experiences and climatic conditions. The real world trials will continue through the coming winter to assess Prius PHV performance under a range of driving and climate conditions. Moreover, feedback from the Canadian tests will help ensure the Prius PHV performs well in any country where drivers encounter cold temperatures, ice and snow. Canadian Prius enthusiasts are encouraged to join Toyota Canada’s Prius PHV facebook page for information on consumer test-drive event opportunities, telematics feedback updates from the test trials, and more on Toyota’s sustainable mobility efforts (http://www.facebook.com/ToyotaCanadaPriusPlugIn). le directeur gestionnaire principal de Toyota Canada Inc., Stephen Beatty / Stephen Beatty, Managing Director, Toyota Canada Inc.